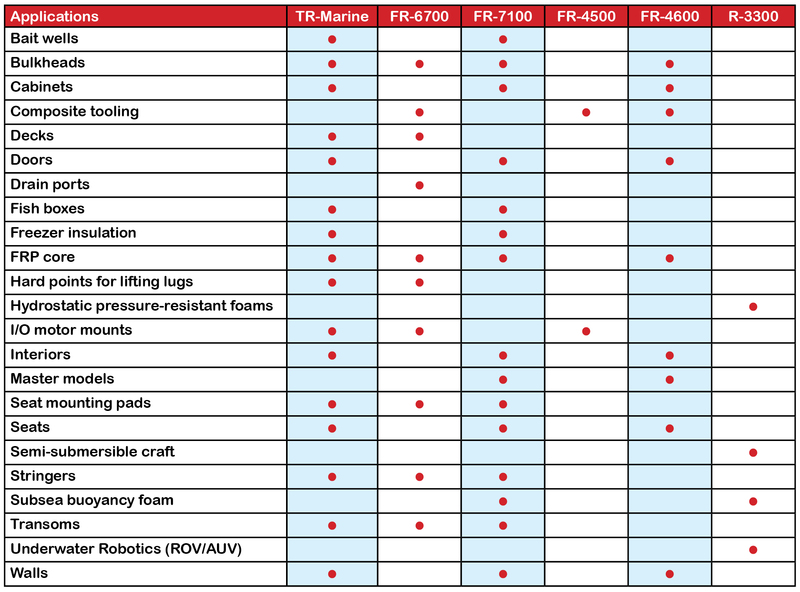 LAST-A-FOAM® TR Marine foams are specifically formulated to meet the demanding requirements of the boating industry at a competitive price. They allow builders of recreational watercraft and yachts to replace wood components with top-quality, non-decaying marine polyurethane products for laminated fiberglass composite structures. Because our time-tested foams for boats do not absorb water, General Plastics’ marine polyurethane products do not rot, warp, bow or delaminate. Our HDU marine-grade foam serves as core material for building transoms, hulls and bulkheads. It also provides an enduring, cost-effective choice for polyurethane boat interiors. Boat builders rely on our FR-7100 Multi-use Core series to insulate fish boxes, bait wells and marine fiberglass bait freezers. 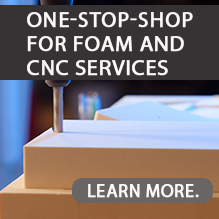 Many OEMs depend on our LAST-A-FOAM® Composite Core and Tooling Board Series, which bonds readily and securely to fiberglass laminating resin sytems. Its excellent bonding ability also enables manufacturers to create oversize foam blocks, needed to design large finished molds for yacht hulls. Download our Marine brochure here.